The Greatest Gospel, Praise & Worship songs in one Great Disk! For years people have been asking me to create a Christian fake disk. I asked for suggestions, and the overwhelming number one choice was Gospel's Greatest Fake Book, by Hal Leonard. 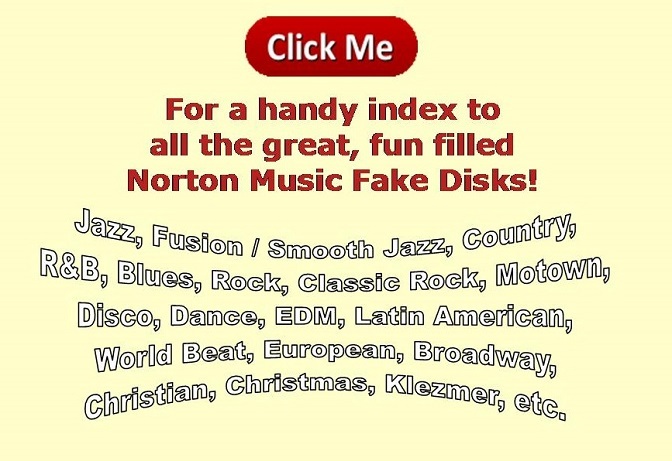 And it's easy to see why; This fake disk has a very comprehensive listing of old time hymns, traditional spirituals, gospel songs of the past century and many contemporary praise songs at less than 9 cents per song! make a loud noise, and rejoice, and sing praise! We entered each of these great Praise And Worship songs as close to the book as BiaB would allow, we searched the Internet for the best version, and we used that vesion as our model. If you play Praise & Worship or Contemporary Christian Music, this is the BiaB disk to have! • Can He, Could He, Would He, Did He? • How Big Is God? • Is That Footsteps I Hear? • Shall We Gather at the River?